Just entered in the market, Samsung Galaxy Note 4 is ready to break the sales records of its younger brothers the Galaxy Note 3 and Note 2. Here starts a new story and yes Galaxy Note 4 wins the tag of best gadget of 2014. Let’s start with the Camera of Note 4. As before, the camera of Note 3 was really interesting but now the Note 4 wins the tag of best camera smartphone too. If we talk about the new sensor, matrix rose slightly in physical size and there are now 16 million pixels, not 13, respectively, each bit size decreased. Aperture has remained the same – 2.2. Video can be recorded in 720p flesh to 120 K / s, FullHD to 60 f / s, 2k and 4k 30k / s.
Also, worth mentioning that it comes with optical stabilization, although it works in modes up to 1080p, inclusive, 2k and 4k video recording without stabilization. Significantly refreshed front camera – selfies fans will love it. It has a 3.9 megapixel sensor, 1.9 aperture ratio and wide viewing angle, so that the shot hit everything. 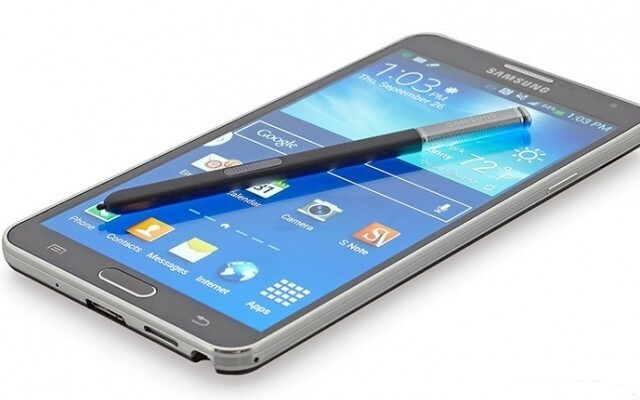 The Samsung Galacy Note 4 comes with Stylus or electronic pen S-Pen – this is what separates and distinguishes the Galaxy Note from all other major smartphones. The meaning of it is that on the big screen is convenient to do various handwritten actions, including email, precise editing photos, text, drawing, and more. S-Pen – this is not a mere apology conventional stylus with a soft pillow, this little piece of art from Vacom, which in the current version supports up to 2048 degrees of depression. In general, we have a good graphics tablet, especially when paired with SketchBook, which for the Galaxy Note 4 can be set free. But the stylus is needed not only for drawing, for example, it is convenient to add new and manage existing tasks in organizer, it is convenient to preview the event and to restore it, it is convenient to throw sketches, fragments cut from a browser, and more. The new Note 4 stylus can allocate any text, simply by clicking on the button and slide to the desired text. Samsung Galaxy Note 4 comes with Samsung branded Exynos chipset supports all standard LTE, as the 805 Snapdragon, Mali-T760 and yes it is not inferior in performance and processing benefits, video can be recorded in the 4k, and most importantly – Exynos 5 Octa 5433, established in Note 4 wins by technical process: 20nm vs. 28. This means that it is more energy efficient and generate less hot. By the way, on heavy use also, it produced little heat. Yes above specifications prove that Galaxy Note 4 is a beast smartphone. Well, Samsung is not giving stress on Galaxy Note series; the Galaxy S series is not behind. Soon, we would witness Galaxy S7 release in 2015 and later the Galaxy S7 release.